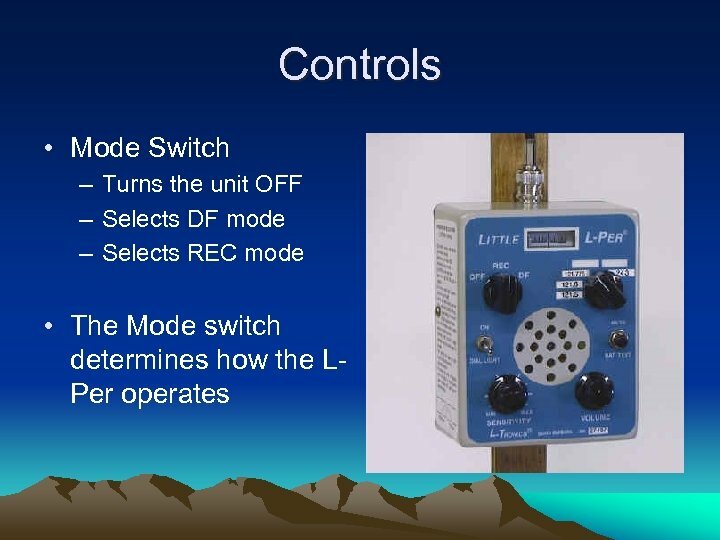 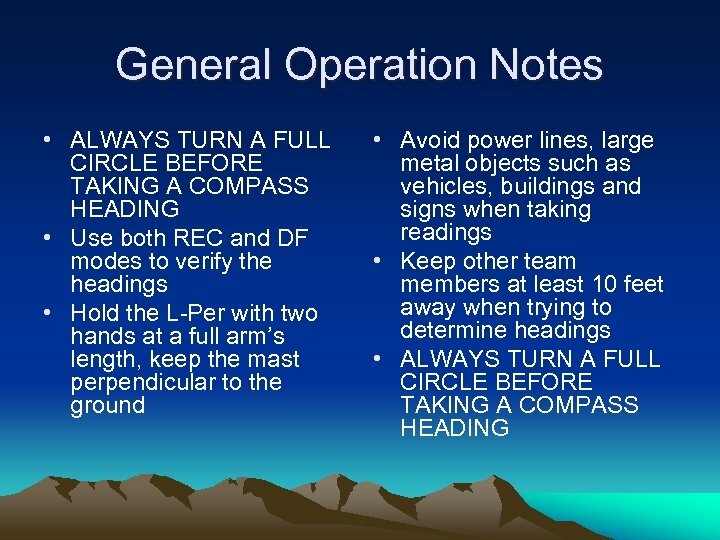 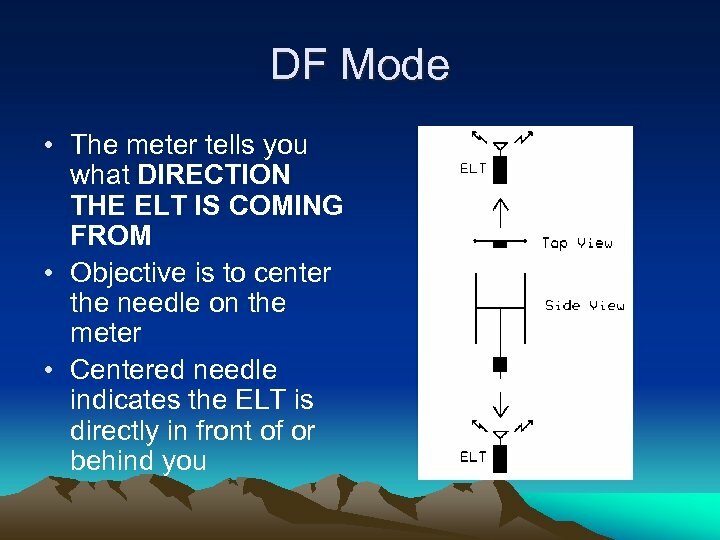 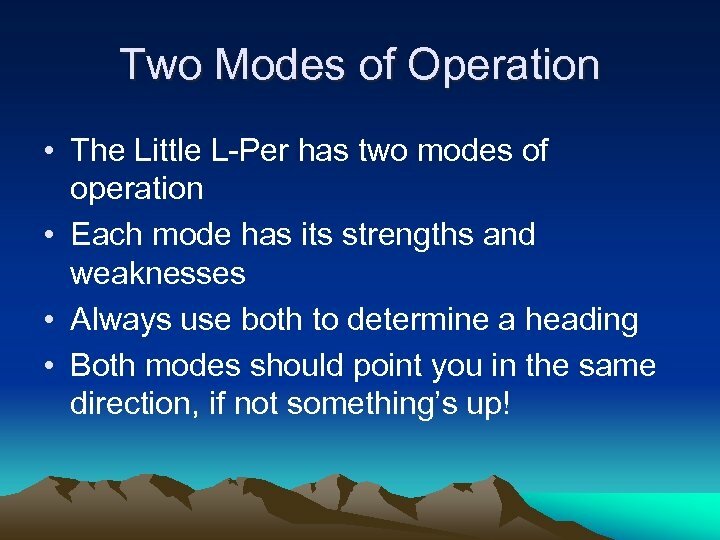 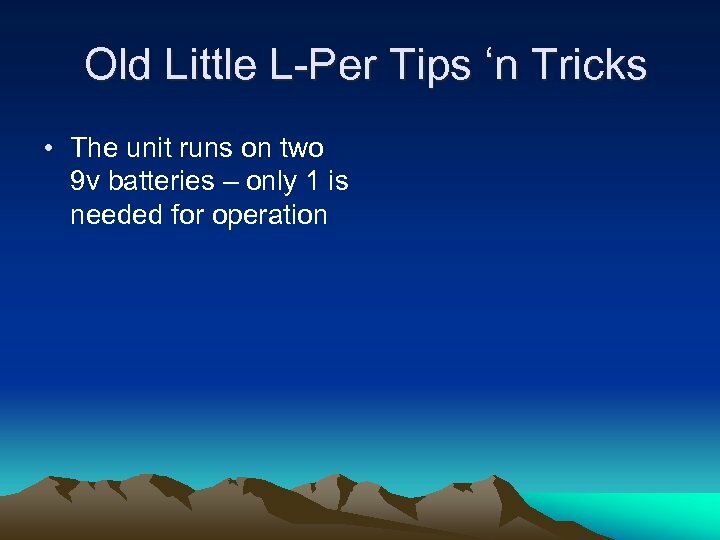 Two Modes of Operation • The Little L-Per has two modes of operation • Each mode has its strengths and weaknesses • Always use both to determine a heading • Both modes should point you in the same direction, if not something’s up! 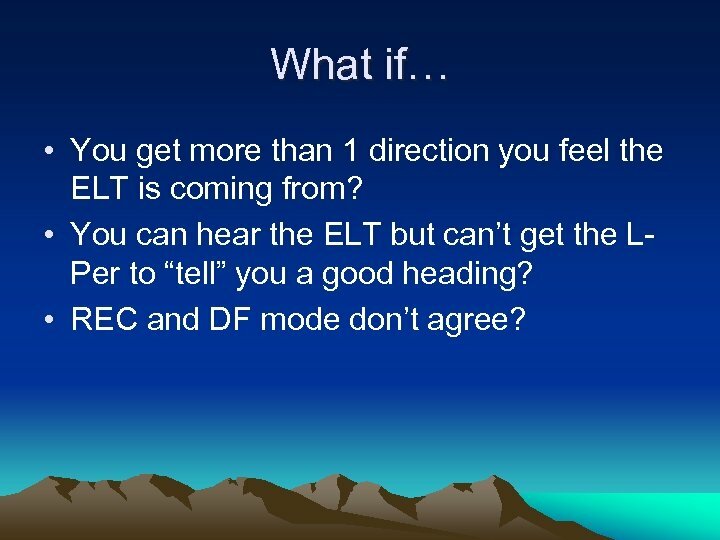 What if… • You get more than 1 direction you feel the ELT is coming from? 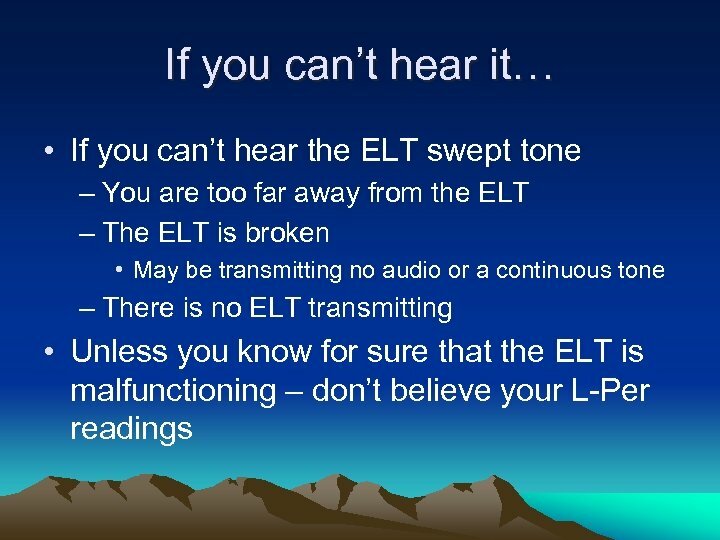 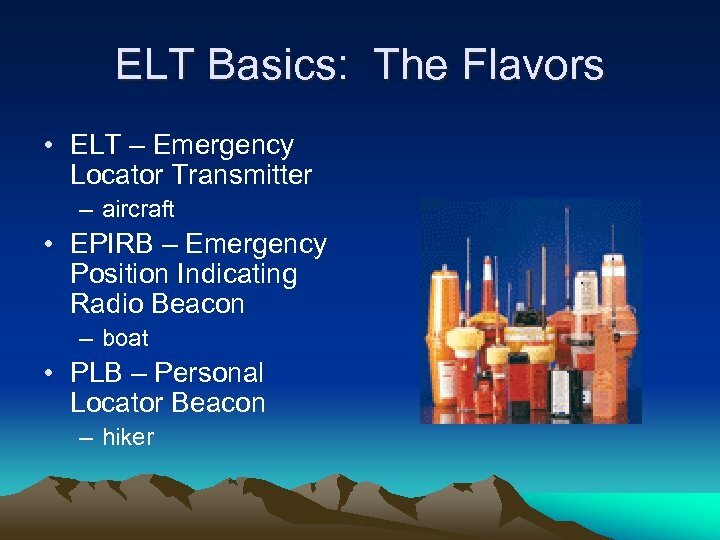 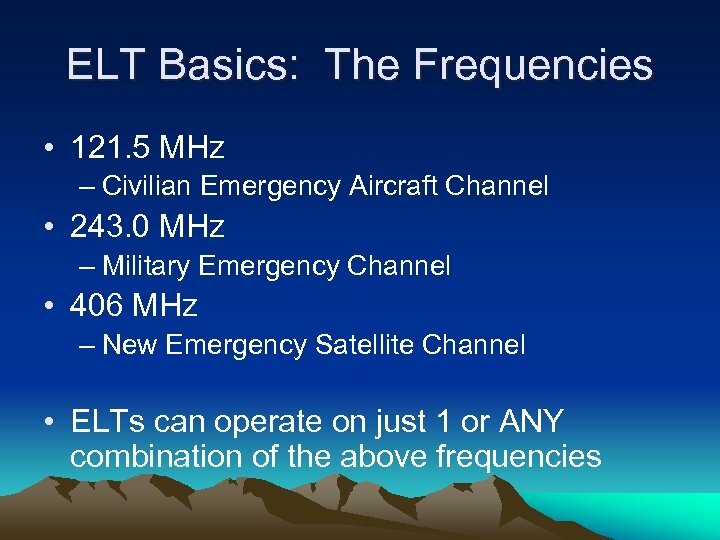 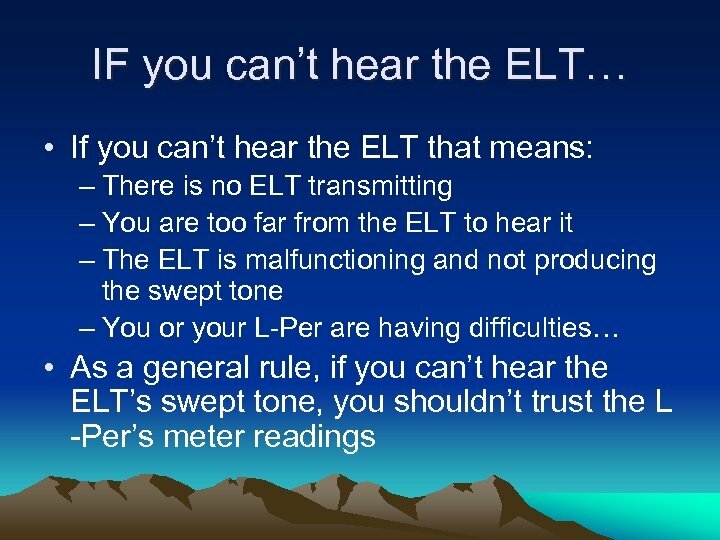 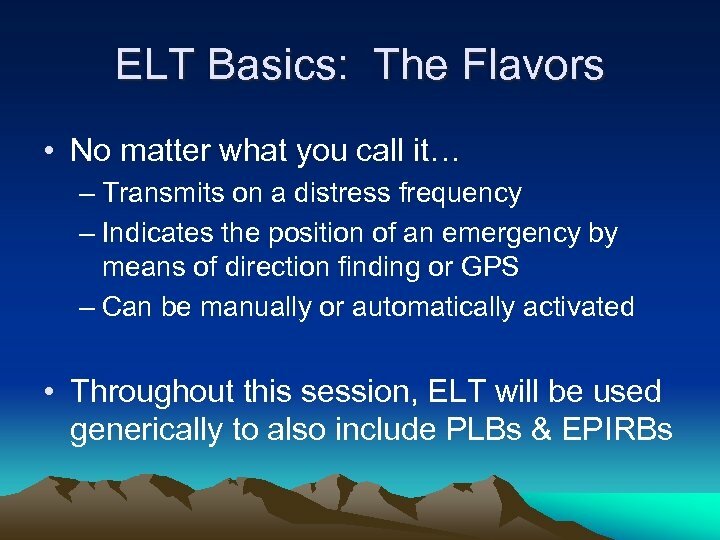 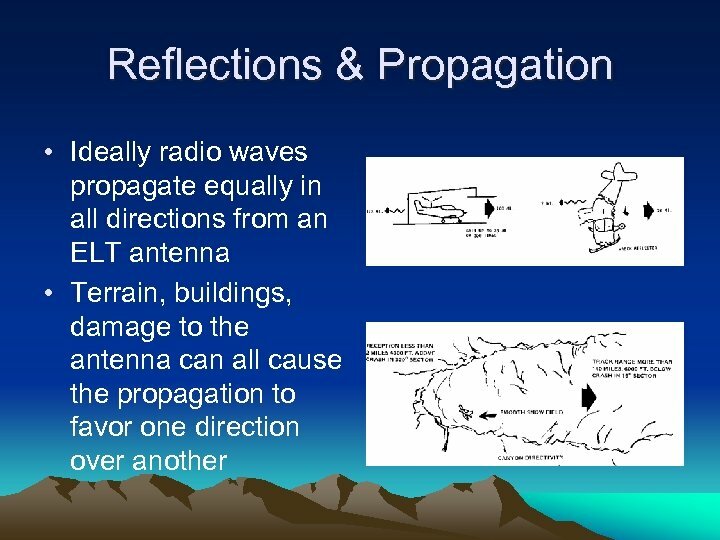 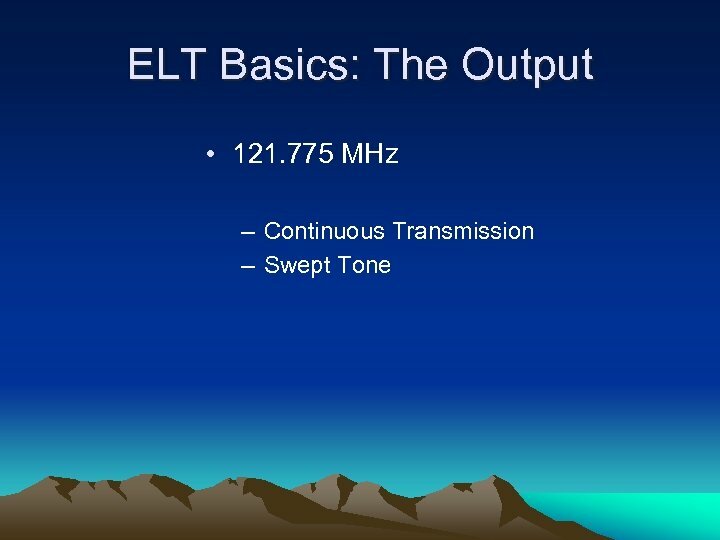 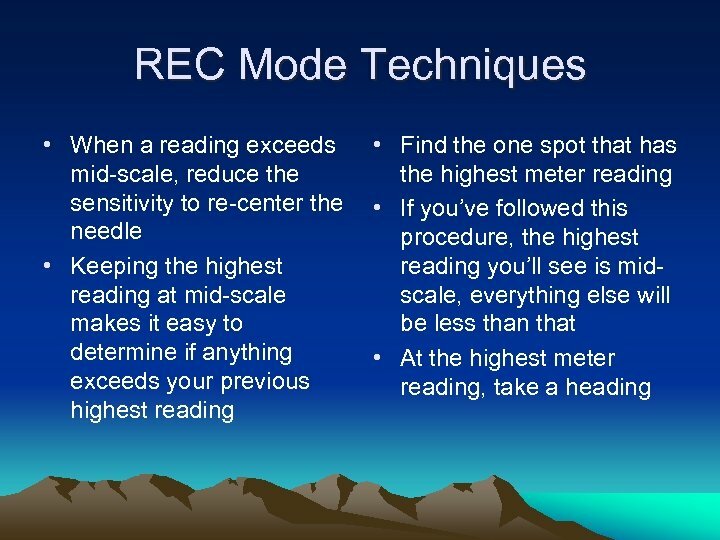 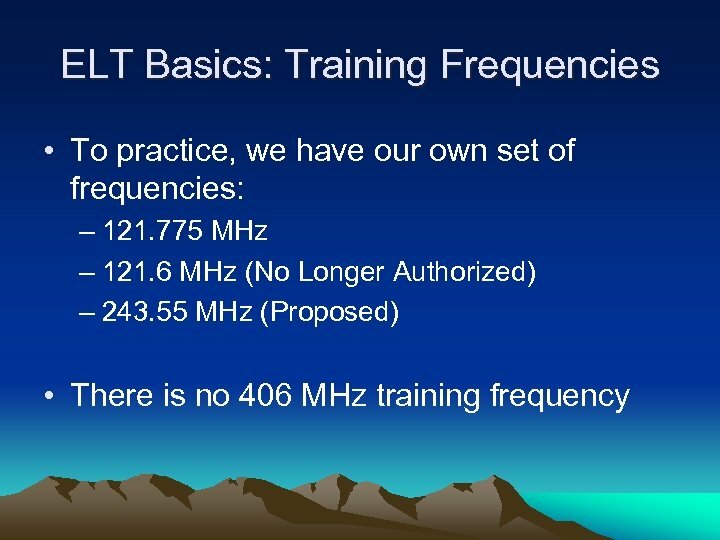 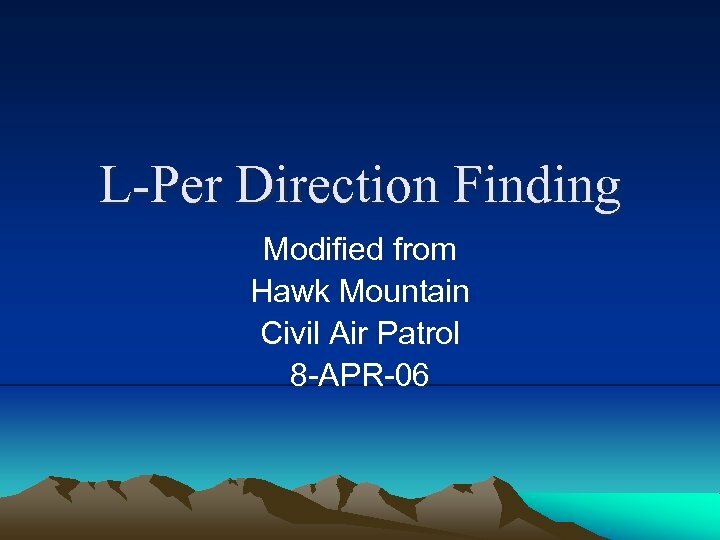 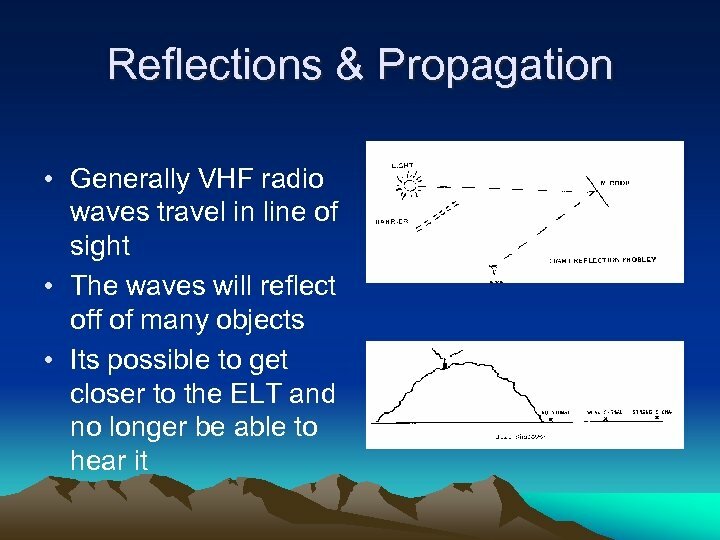 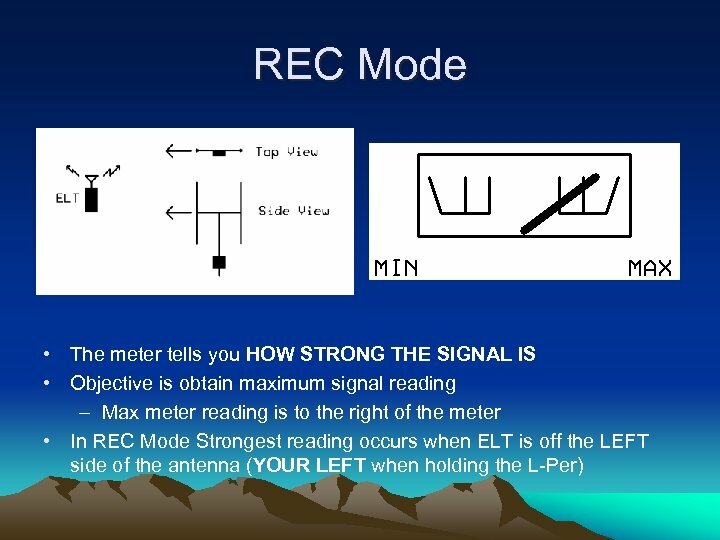 • You can hear the ELT but can’t get the LPer to “tell” you a good heading? 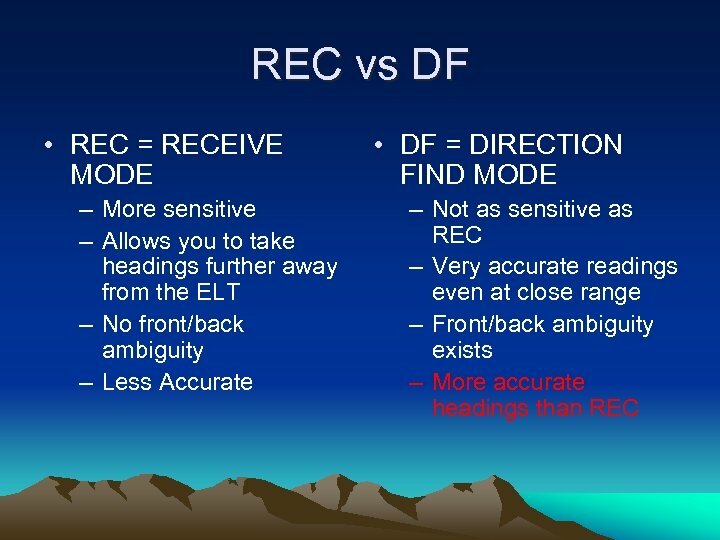 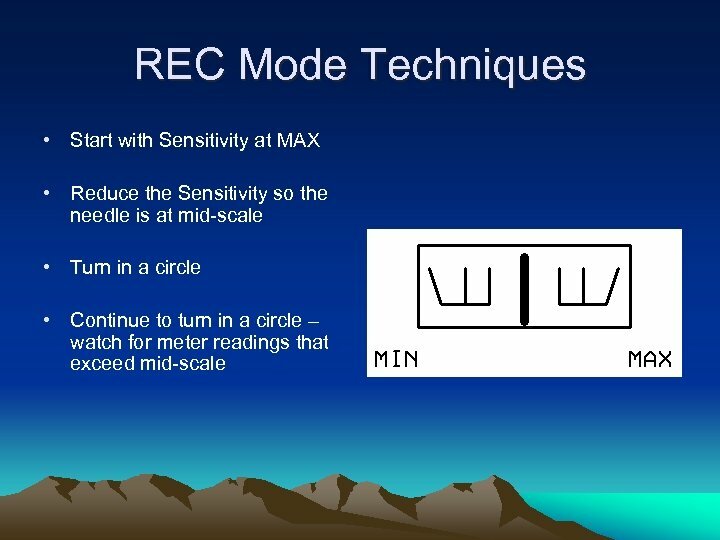 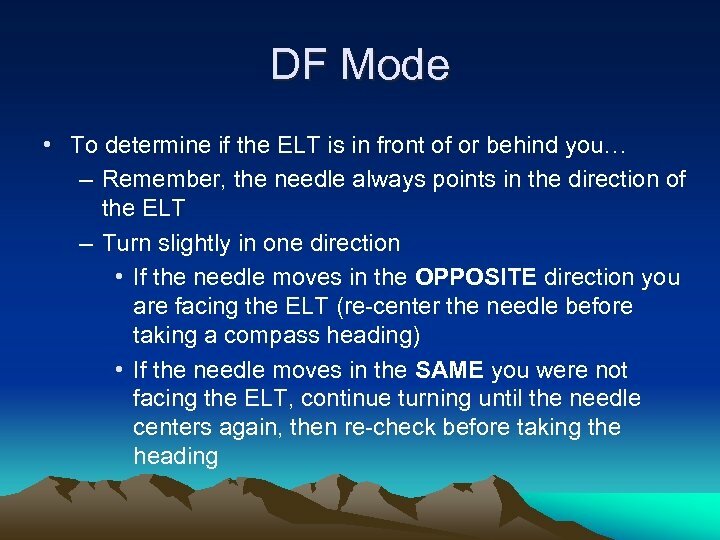 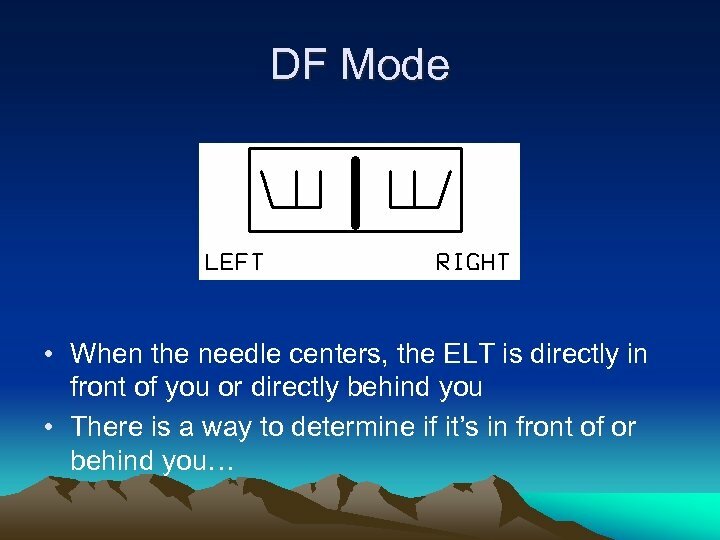 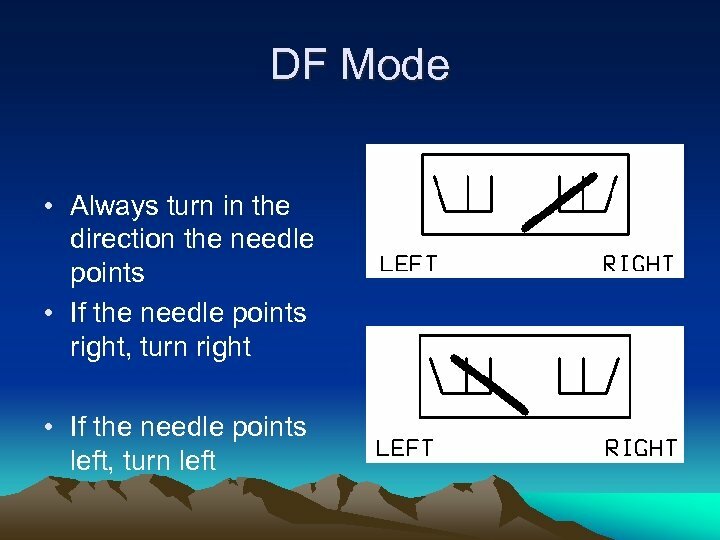 • REC and DF mode don’t agree? 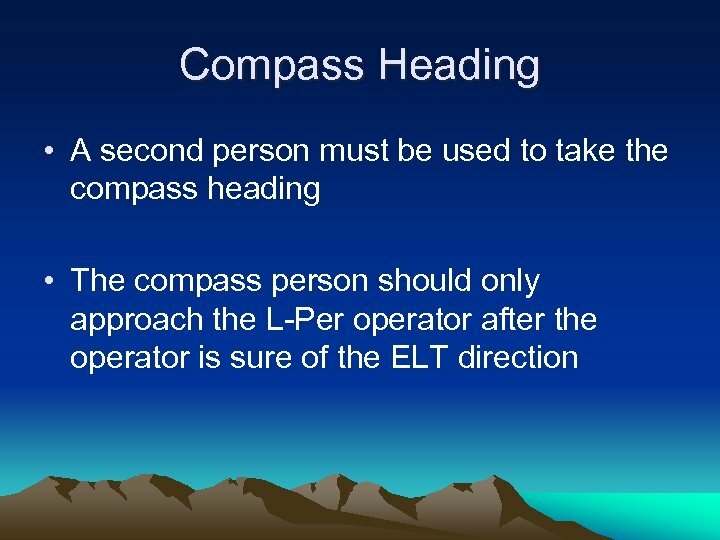 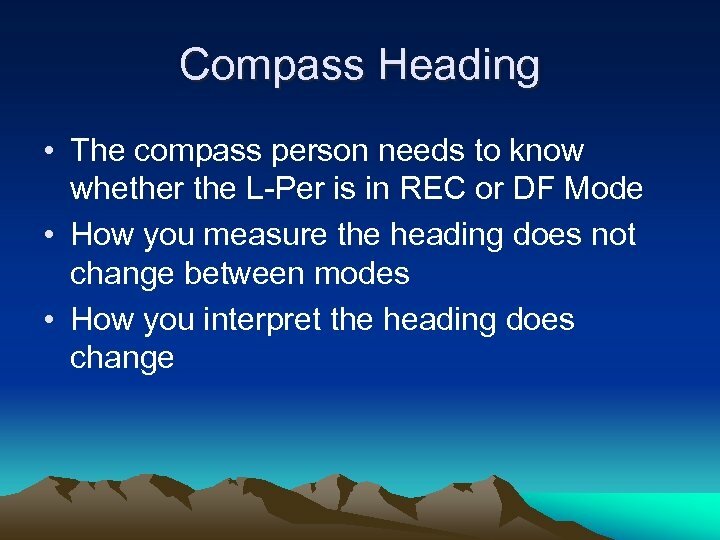 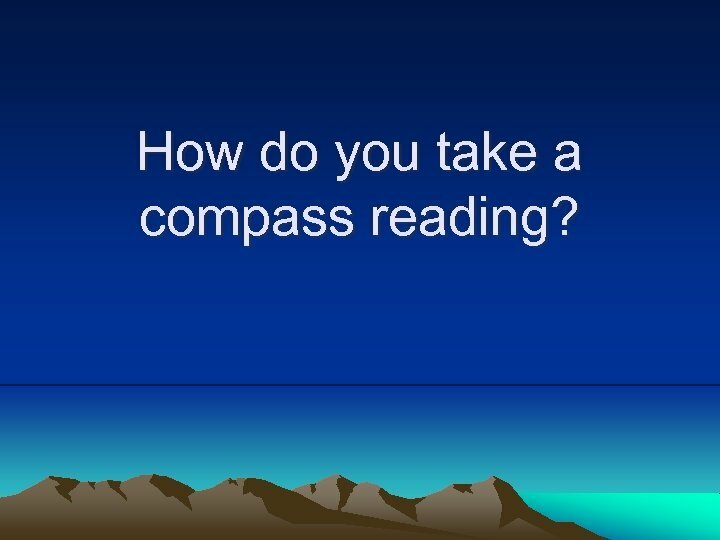 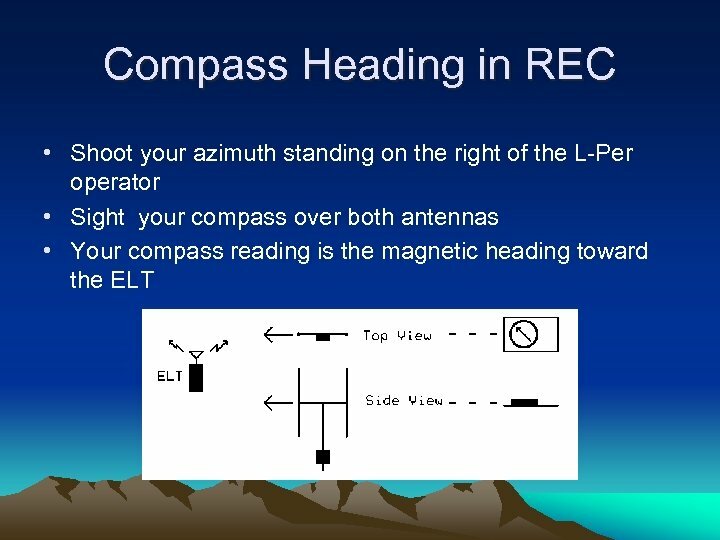 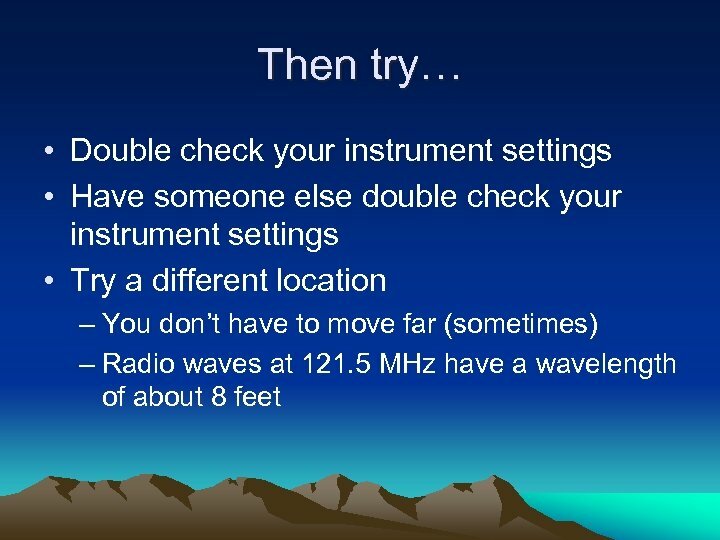 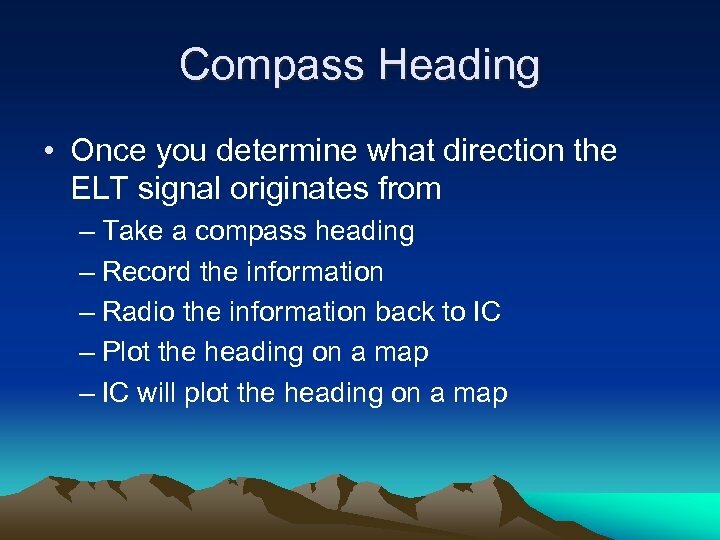 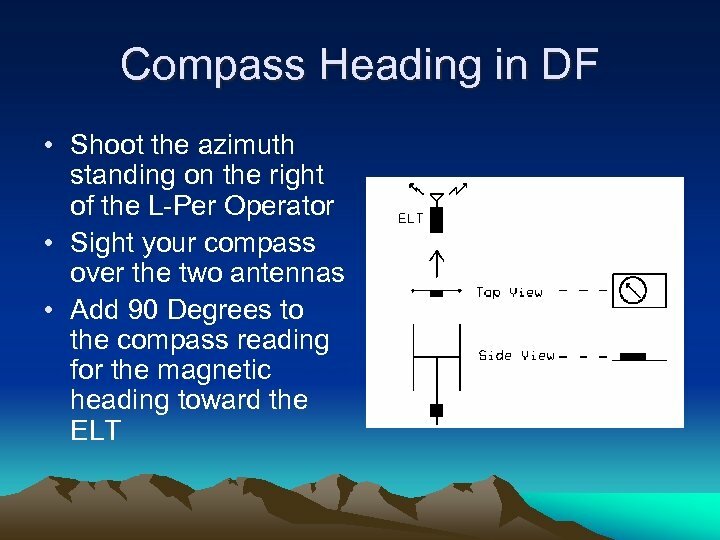 How do you take a compass reading? 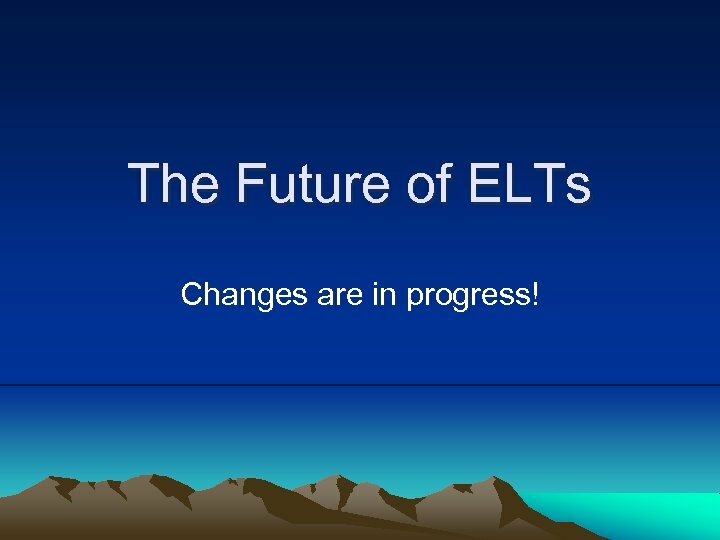 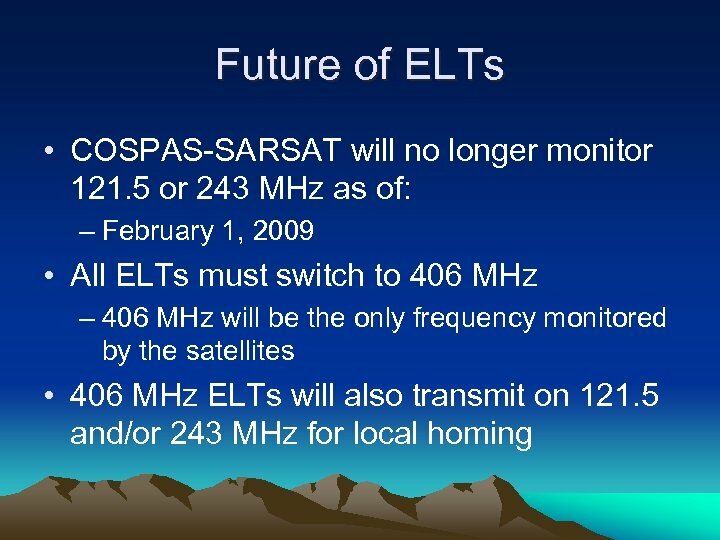 The Future of ELTs Changes are in progress! 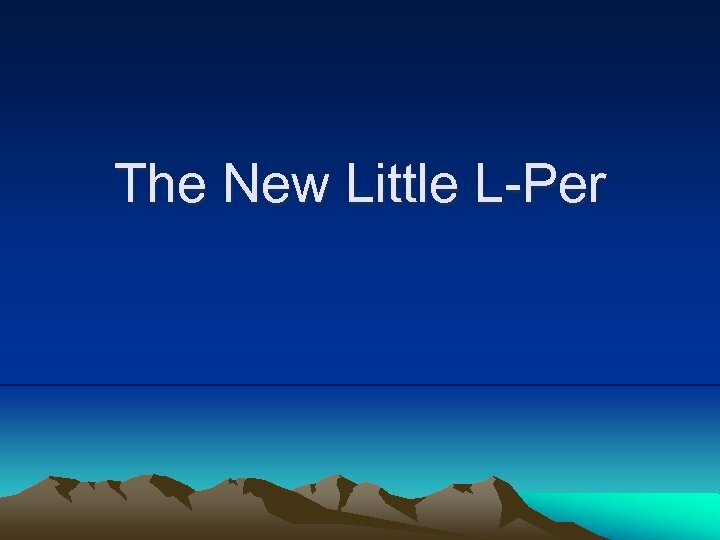 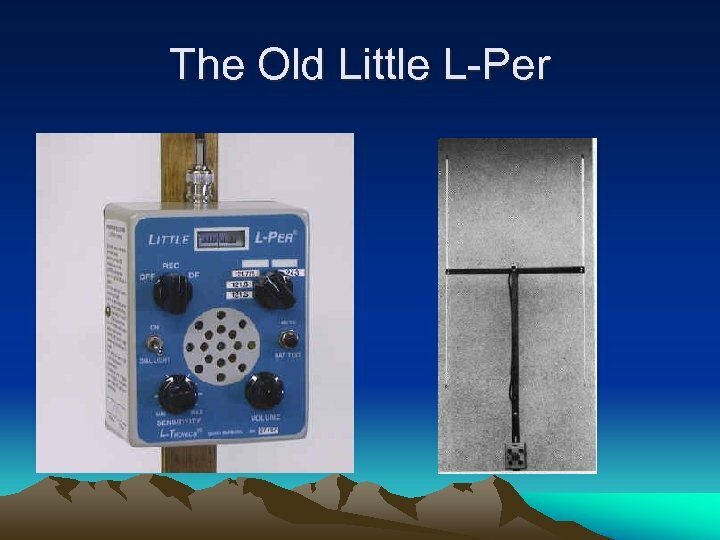 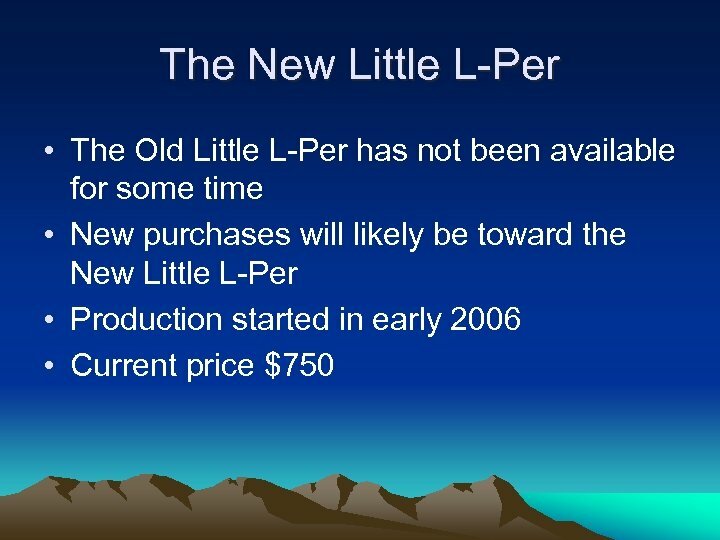 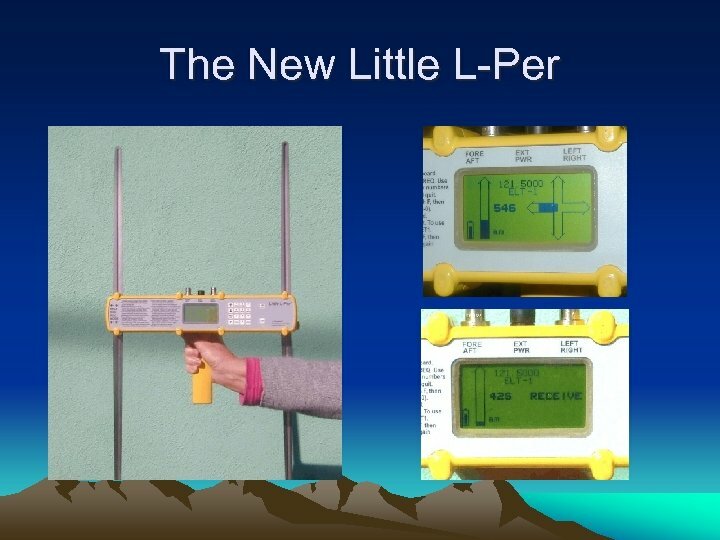 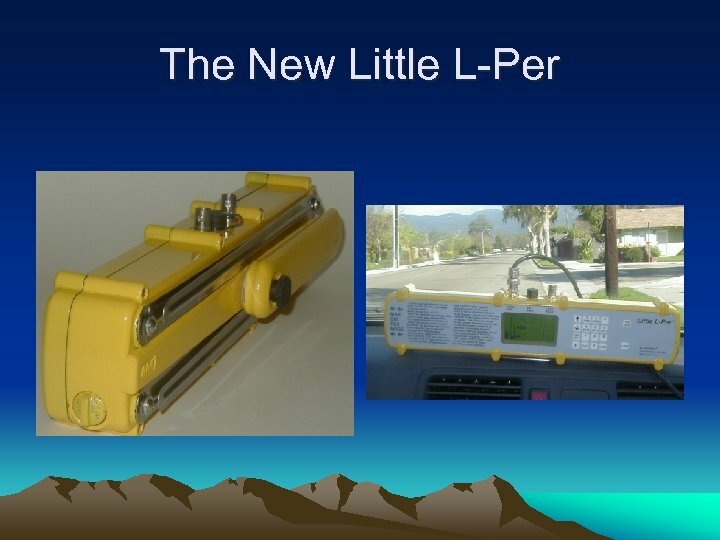 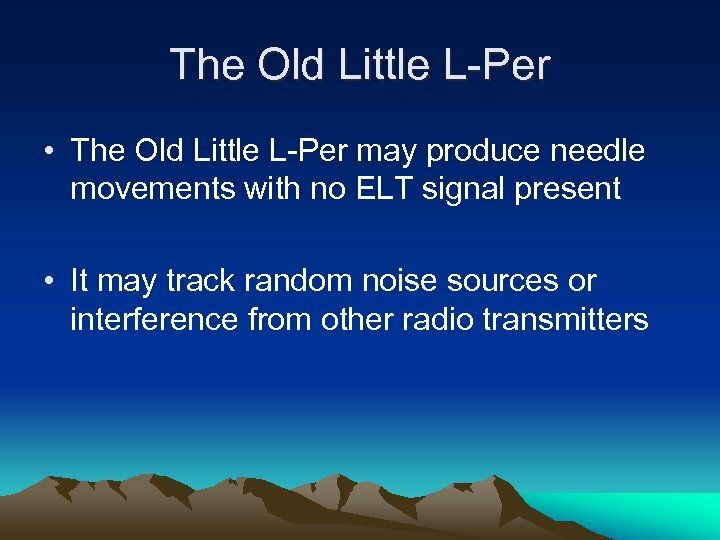 The New Little L-Per • Very similar in operation to the Old Little LPer – The Sensitivity Control has been eliminated • Frequency Programmable – No Crystals to buy! 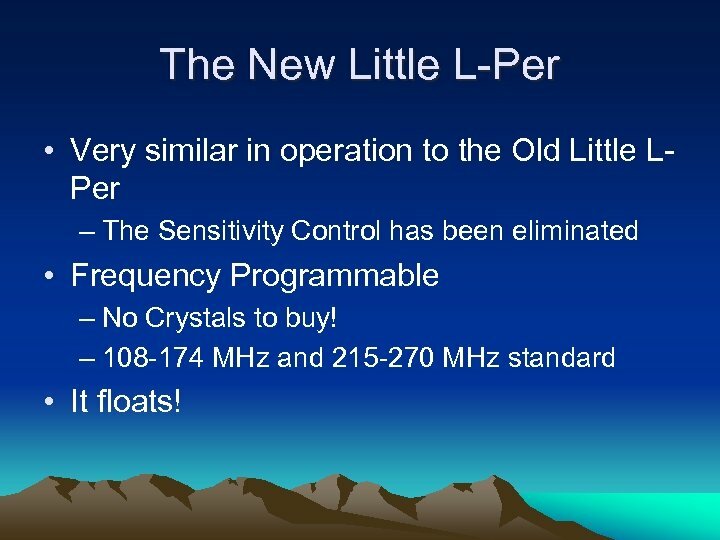 – 108 -174 MHz and 215 -270 MHz standard • It floats!